This homemade costume for girls entered our 2019 Halloween Costume Contest. My daughter Vivien Nicolei wears the La Muerte costume. I get the idea from the Book of Life Film. 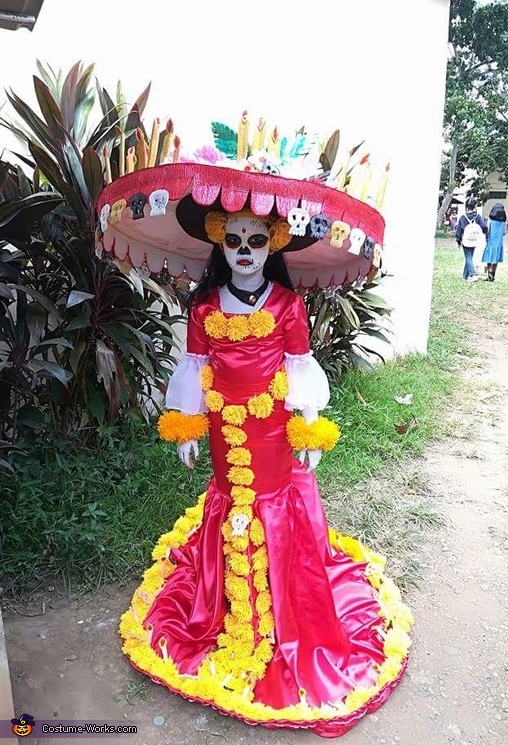 My Aunt sew the red dress of La Muerte and i created or diy the marigold flower from a yarn thread. Also the my friend created the hat who is an expert for me in making hats.